The gorgeous month of October has slipped away and November has dawned. November is not my favorite month by any means. I hate the time change, which is happening tonight! Ugh. So for now I'll bask in October's memories. We loved studying Greek myths for school this month. And a favorite picture book we discovered was Minette's Feast. A lovely book about Julia Child's cat. The writing and illustrations were beyond charming! Below left is a tasty kale recipe, yum! Just made some again yesterday! An some favorite drinks: Mexican Hot Chocolate and Mate lattes! And dueling crock-pots of applesauce! 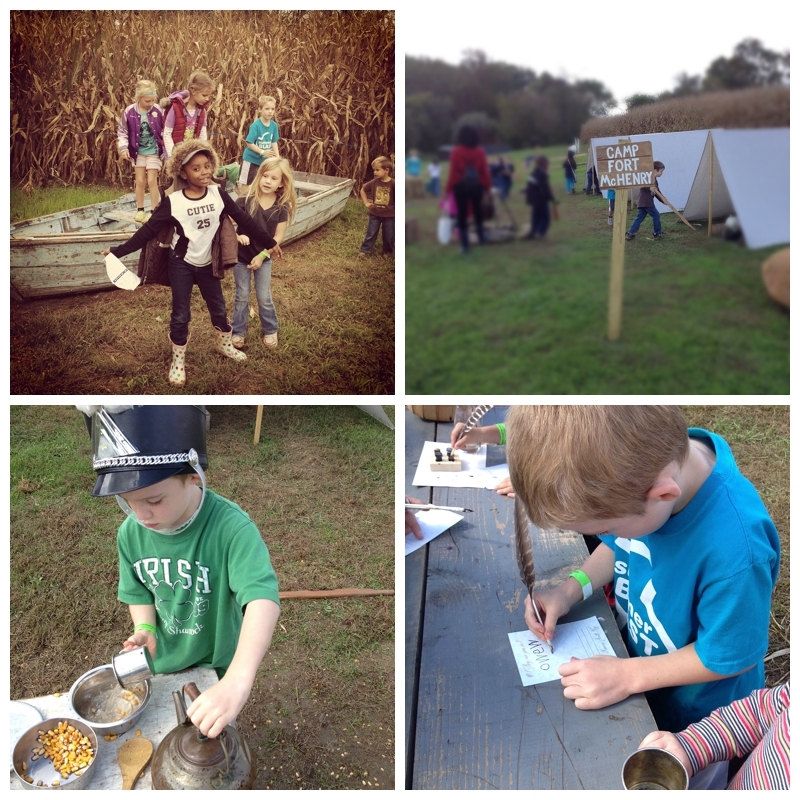 A Classical Conversations field trip to Beachmont Corn Maze! Above: Owen's artwork, some button math, and library book sale deals! The squirrels attacked our pumpkins this year! Oh the horror! Above: Classical Conversations field trip to Port Discovery for the Gods, Myths and Mortals exhibit. So thankful my mom could help me with that adventure! And below we're all dressed up for Trunk or Treat!